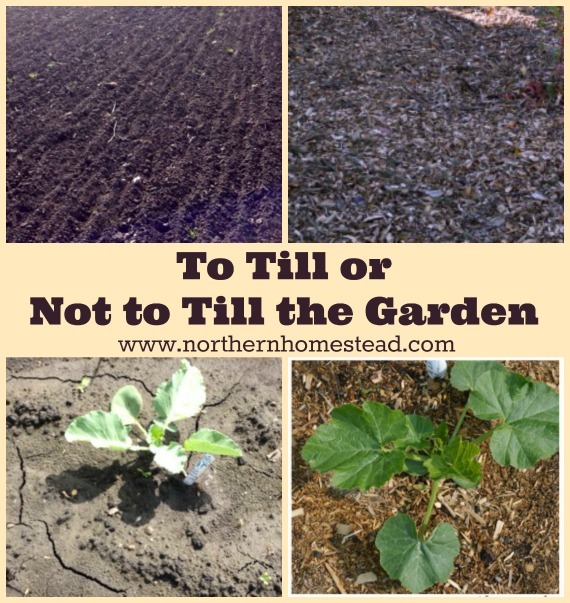 We are big fans of no-till gardening methods. 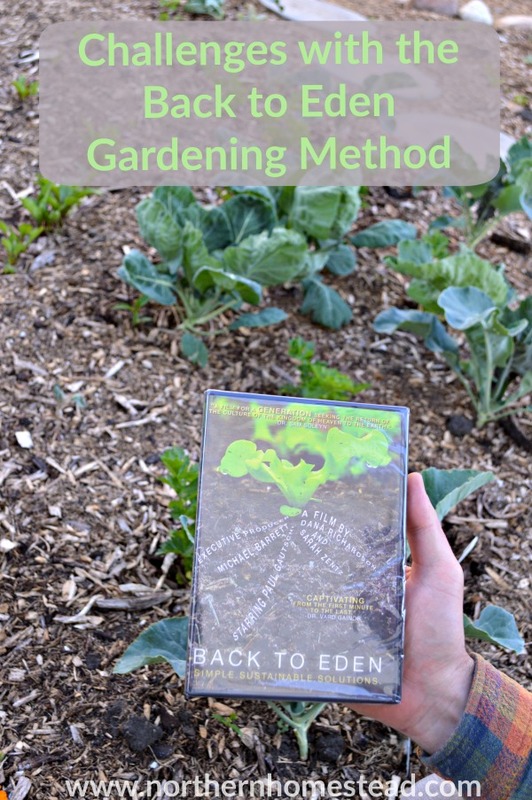 We got into it through the Back to Eden film, a documentary of a sheet mulch gardening method using wood chips or other natural mulch material. Mulching is just the best thing one can do for a garden. 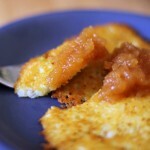 There is no tilling or digging needed any longer. Our whole garden is covered with wood chips and we love it. 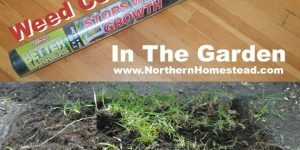 It is our third summer of growing a no till mulched garden, so it’s time for an honest review. 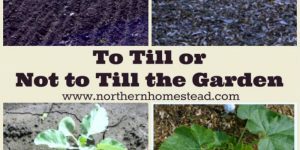 Even though we love the no till gardening method, we do see that there are some challenges that come with it. So let’s get started. I do not want to counter the founder of the Back to Eden garden method, he is right in saying that any covering is better than no covering. However, wrong wood chips might not be the best “any covering”. 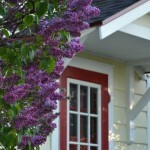 Maybe you are better off with grass clippings or straw, instead of bark mulch or wood shavings. We have used 3 sources for getting wood chips. It is not as easy as it sounds, mainly because people do not understand what we mean by saying we want wood chips for the garden. Since most customers are using mulch for the nice look, suppliers try to offer wood chips that look good, like bark or woody mulch. And I agree, those do look good in a flower bed, but thy aren’t really suitable for the garden. Great wood chips for a mulched garden method should be from thin tree branches, preferably with leaves, shredded and composted. It will look like wood chips with compost in between. In fact those are compost wood chips. 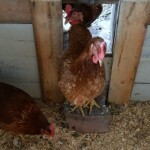 Fresh wood chips that are just shredded can also be used. Again, make sure it comes from branches with leaves. This kind will decompose in the garden, though it does take time. We have used fresh wood chips under trees and shrubs. To plant a vegetable garden into the freshly cut wood chips is not a good idea, but over time they will make great composted wood chips. 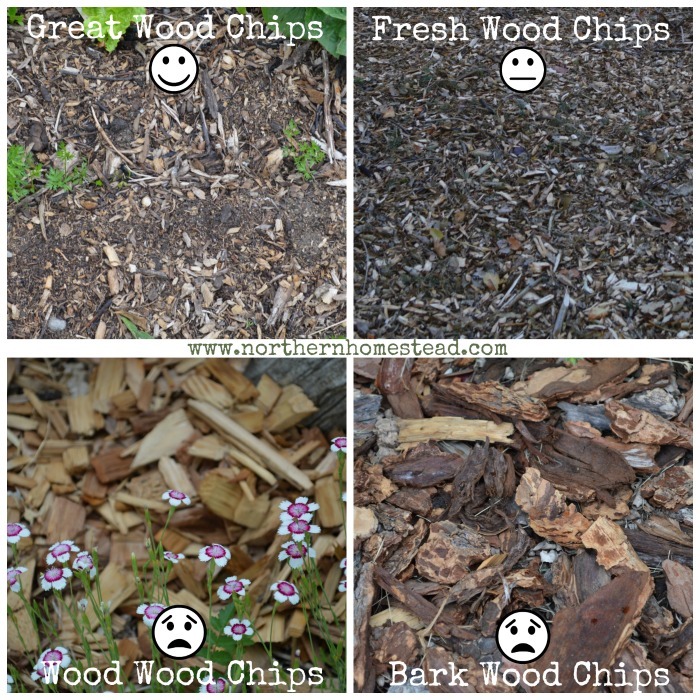 If all you see are chunks of wood or shredded wood, those are wood chips that are not good for the garden. Also, bark mulch that looks so nice in ornamental gardens is not suitable for a vegetable garden. Ask your local tree care service. Explain to him what you want. Most likely the kind of wood chips you are looking for is the kind that is of no value to him. We get all the great wood chips for our garden for free. Covering the soil with mulch is a great idea in any situation. 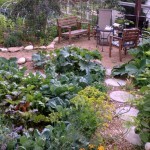 However, if you cover good soil you will have even better soil under a mulch covering. If you cover poor soil, you will be on your way to improving your soil, but it will not happen overnight. If you do have poor soil, please note that adding compost will improve it greatly. 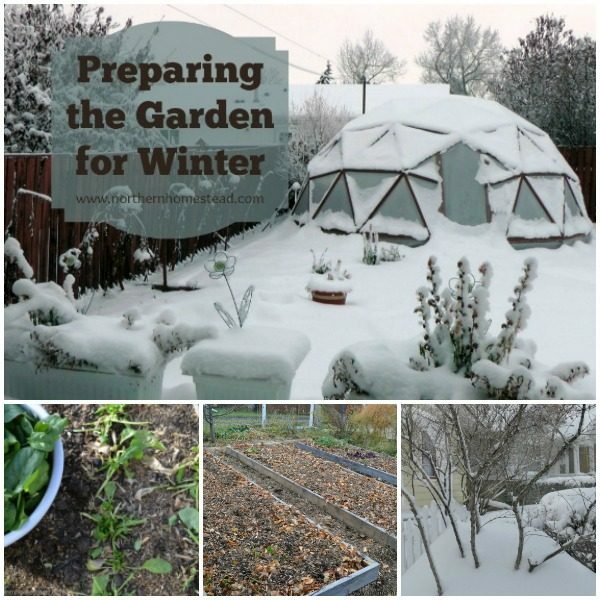 Read more at Is the Back to Eden Garden Method Really Just About Mulching? A good start for a sheet mulched garden is to cover the soil with cardboard or newspapers to prevent weeds from growing. Add good compost, then cover the compost with good wood chips. Over the years the wood chips will decompose, and the added moisture and protection will encourage worms and beneficial bacteria to move into your soil. Your soil will build up and become a great soil – but it does take time. For the first few years make sure that there is a good layer of mulch on top of your soil. If you just add it once you might find out in 3 years not much has happened. Especially with poor soil, you have to add mulch and additional compost regularly. Over time you will need less and less and your efforts will be rewarded. In a mulched garden, weeds do not grow as much as they do in a normal garden. This is partially because seeds that land on wood chips will not germinate. We love it. Weeding has become so easy. However, the same is also true for our seeds that we plant. It is important to move the layer of wood chips away and to plant the seeds into the soil, not into the wood chips. Just to clarify, you can cover the seeds with wood chips, but seeds should be planted in soil. Sometimes it still happens through wind, rain,and other circumstances that the seeds land in the wood chips resulting in poor germination. 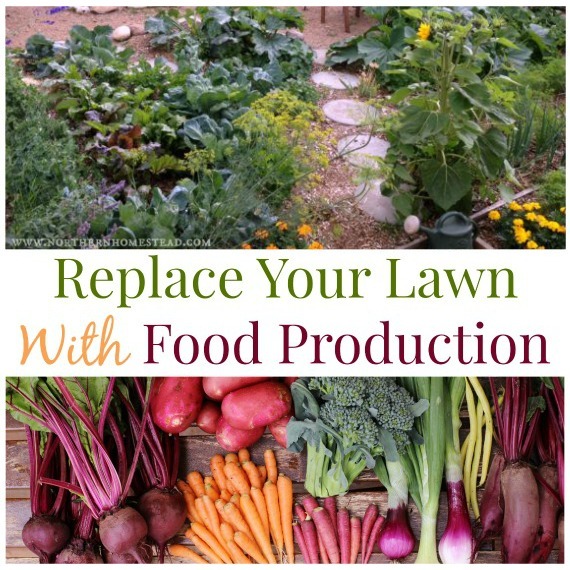 To avoid this problem you can start planting earlier and deeper. The seeds will need longer to come up, but they will be sturdy and healthy plants. 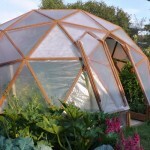 Also for small seeds you can use good planting soil or compost to cover the seeds with and keep them watered and moist. Once the seeds are up, you will not regret the effort it took to get them started. Even if you do have gaps, your yield should still be great. 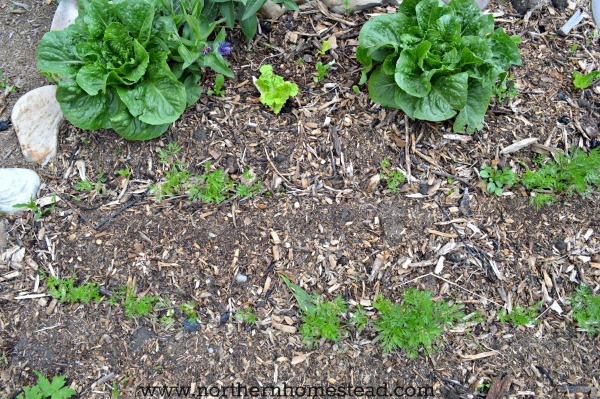 You can also use just compost to mulch areas where you plant small seeds (see below). 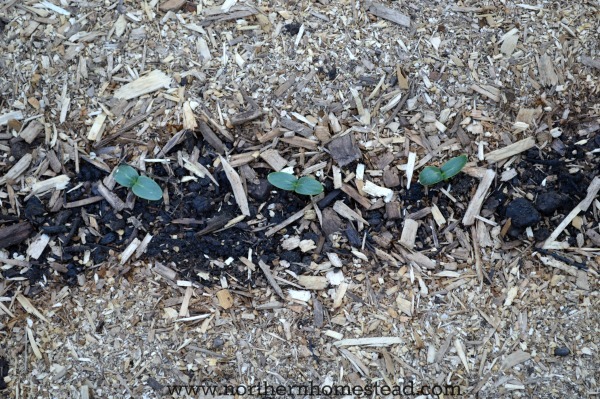 The wood chips also do get in the way of planting new plants or moving and dividing plants. It takes a bit of practice to deal with that. Wood chips can introduce and multiply a slug problem in your garden. This is a more serious challenge for areas that get a lot of rain. Here in Alberta, Canada we often have dry summers, so the wood chips work for us. However, we still noticed that there are more slugs in our mulched garden than there would normally be in our area. For us though the benefits of wood chips still outweigh the challenge with the slugs. To avoid this problem make sure to use composted wood chips that really look more like compost and less like wood chips. Also you can get basically the same results with using just compost without the wood. Note, the important part is that the soil is covered. Covering with wood chip mulch gives you the benefit of keeping moisture in. 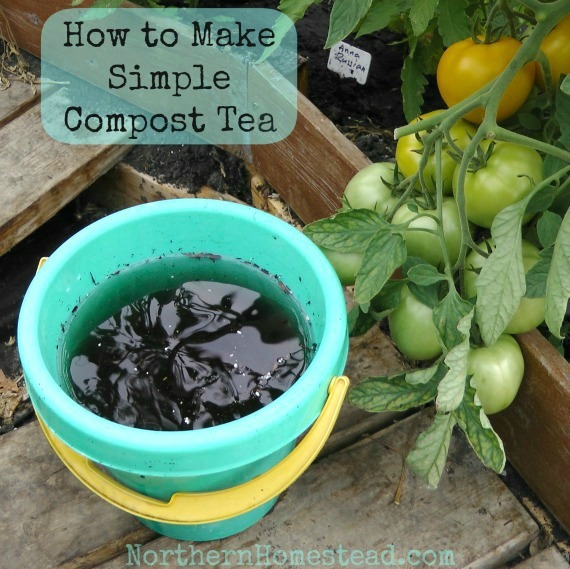 But if you are in a rainy moist climate, compost is all you need. Charles Dowding from England has had great experience with it and shares it in his books and YouTube Channel. If slugs are a problem in your garden, take advice from him. 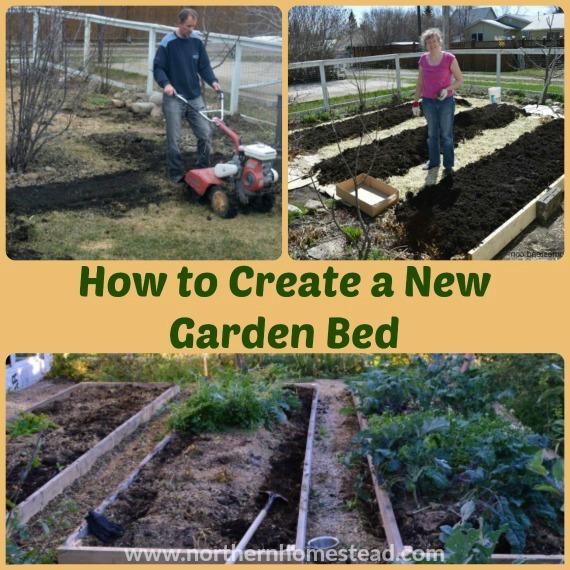 We hope this will help you to a good start with a natural no-dig gardening method. 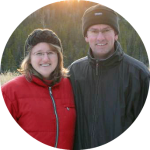 We invite you to subscribe to Northern Homestead and follow us on Facebook or Pinterest for the latest updates. About 8 years ago I started a backyard garden project. I had no viable soil, just plastic covered with lava rocks and struggling plants and down another 2 feet of clay and rock was another layer of plastic. At this point it smelled like a very bad operating sewer. 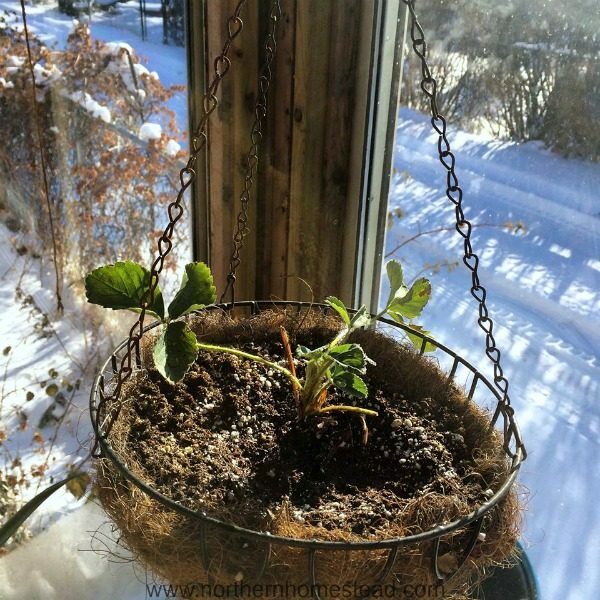 My soil building inspiration came from Ruth Stout and issues of Organic Gardening and I put in 2 years of straw & alfalfa composting and permaculture design techniques. After studying how the rain migrated across my lot I then built my Hügelkultur raised rows from the prepared soil I had made, planted them with my perennials (Rhubarb, Asparagus, Artichoke, Blueberry and others) to slow the water down and sink in. It was between these perennial rows that I packed in about 100 yards of wood chips. After 3 years all those chips disappeared and became soil but the scary thing was I was very close to that old clay hard-pan again, I still couldn’t sink a shovel in any areas except my created rows. I got lucky this year with the discovery of a local project with affordable finished compost for 5 dollars a yard. I’ve put in 18 yards in half my garden and I raised my soil level by a foot. What was most inspiring was when I dug and area and found very happy “earthworms” within 5 inches from the top. I’m not done hauling in this compost but my next curiosity is to see how thick it remains after wintering over. I’m glad I took the time and put the bigger chips down first. If I had it to do over I would have doubled the amount of larger chips then added the finer compost to the top. The larger pieces decompose slower, pull less nitrogen from existing soil and hold water longer. Thank you for sharing. I hope you are covering your precious compost with wood chips again. That would help to build your soil. Hi Anna, I’m not done hauling the finished compost yet, that will continue through late fall then it will be allowed to winter over and settle. If it settles down too much I’ll haul more mulch in and fill and level it again. Something I forgot to mention, my husband had 3 strokes and suffered paralyses on his right side from face to foot. With the build-up and leveling of the mulch it has allowed him to walk in the garden. He’ hasn’t been able to do this since 2010 and Memorial Day this year was truly “memorial” because he was able to reach and smell 2 rose bushes that were in full bloom, John F. Kennedy and Abe Lincoln. At this point large chips in the walkways would make it more difficult and could cause him to lose balance and fall. This is so special, thank you for sharing. 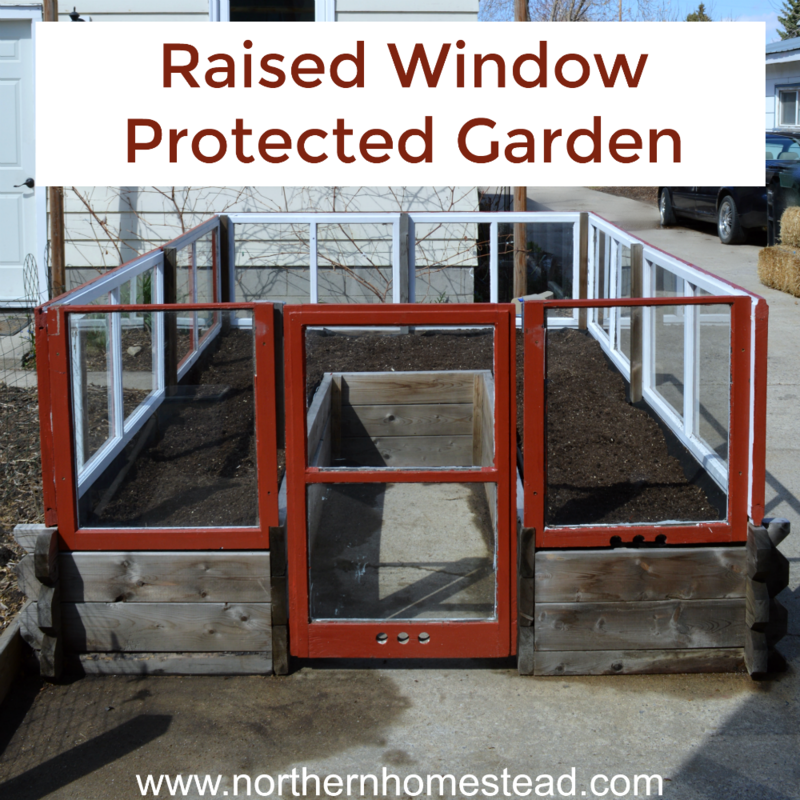 After removing a large section of sod in the back yard, we constructed three raised beds. I regret it now because it’s too confining for what I planted and I would like a much larger garden. 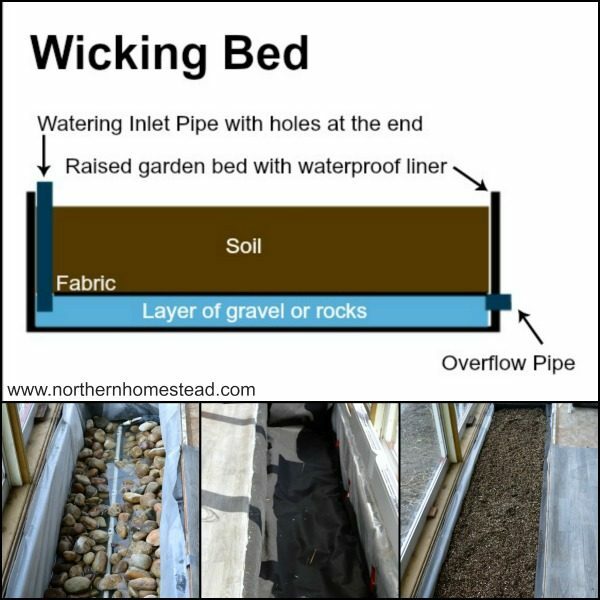 We are taking out another section of sod right next to the beds and, once we have picked the final harvest, we may disassemble the beds and spread the soil from the beds over the entire area for next spring planting. We had a garden mix trucked in for the beds in the spring so it was a mixture of soil, compost and manure. I’m wondering if we spread the soil from the beds, will mulch for the final covering be sufficient to leave over the winter? My mulch supplier has a tree trimming business and assures me his mulch, which has been sitting for a year, is the best in our area. Your thoughts on my layers? Love your plan! It depends on what your original soil is like. If you have good soil to start with a bit of compost and a good layer of mulch should be great. 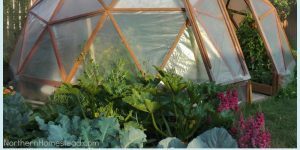 However, if there is no topsoil to begin with, you might wont to add some more compost to have better results right from the start. I just received my first load of wood chips that a local tree company dropped off for free. It was very easy. I googled tree companies who gave free wood chips. I got on two lists. It took two weeks for one of the companies to call to say they had wood chips for me. 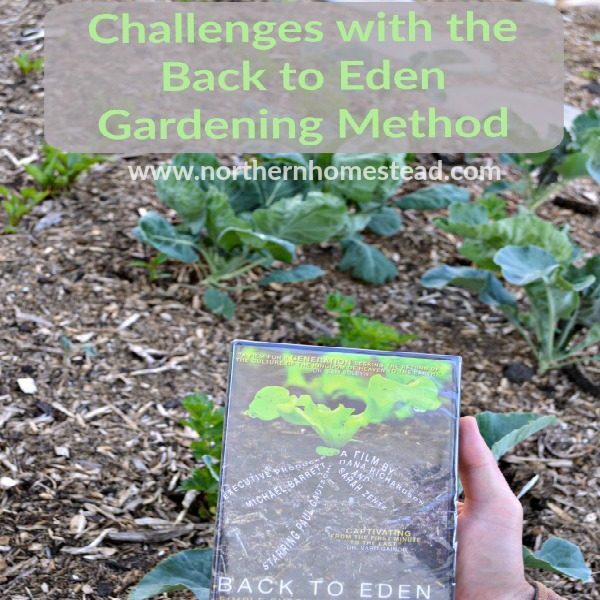 I was so excited since I had just watched the film Back to Eden Gardening. One thing people need to know is the tree companies won’t bring half truck loads. Expect a huge amount of wood chips. But that’s what you need. Glad it worked out and thank you for the tip. Yes, more is always better. Thanx for sharing your experience 🙂 i’m happy to see this is working for you in Alberta (we’re in edmonton)! not so happy to hear about yet more slugs but i suppose its to be expected. We planted in a Lot of compost last yr and it was amazing but ohhh the slugs. our neighbor has an exceptional breeding spot happening, with siding and old tires lining the space between his garage and our plot, my dear heaven, i’m very ok to share but these devils have insatiable appetites! i tried egg shells coffee beer and all the others – resorted to the best of the worst slug pellets by the end of the season. 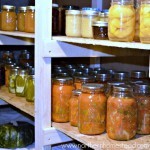 started looking at Back To Eden method for this yr, having much less time to water and tend. i have a few plans for slugs, including a 1′ strip of gravel between the neighbor and the garden, and lure-patches of marigolds and bokchoy. i’d love to hear that you’re managing them (?) and how! We do not have such a great slug problem, thankfully. Could you introduce a few ducks to your garden? They would take care of the slugs for you in no time. I still believe any wood chip is better than none. 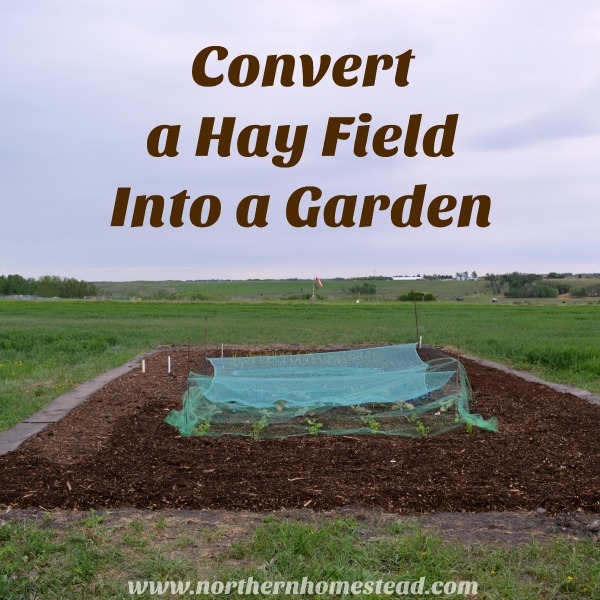 It will still keep weeds at bay and keep moisture. Welcome, Shawna and thank you for your kind words. It means a lot to hear that what we write here is helpful. Spring seems to be early this year for us, most of the snow is gone. We might get some more, but enjoy it for the moment. Happy gardening to you and your gardening group.